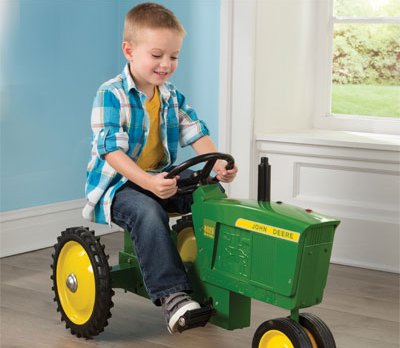 If your little one doesn’t have a John Deere Pedal Tractor at home, he or she may be missing out! 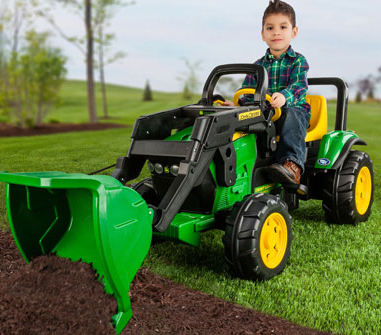 There is a John Deere pedal tractor option available for every little tot, whether your child likes playing indoors or outdoors in the mud. 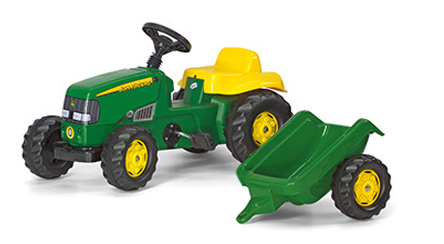 This John Deere pedal tractor comes with a front lifting hood, just like mom and dad’s tractor. It has a thick rear axle for durability and anti-slip pedals for the utmost safety. This option has a strong stamped steel and die cast design. It also has an authentic-looking hood, grill and engine detail. 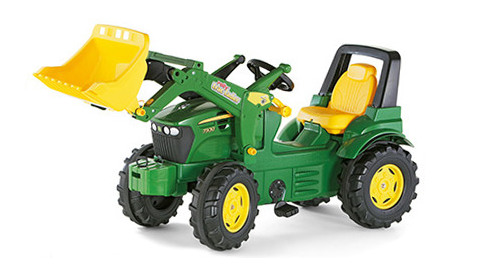 Who wouldn’t want a John Deere pedal tractor with a functioning loader? This toy is the perfect way to ensure that your little one gets his or her exercise during playtime. This tractor has a retro design with a removable hauling trailer for a real-life feel. 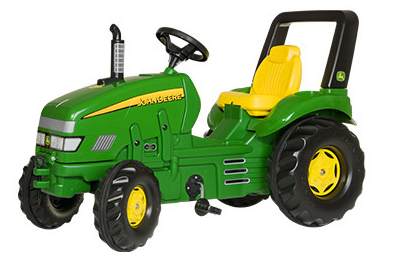 Kids will be able to enjoy the functionality of the tractor indoors and out. This pedal tractor resembles a real front loader. 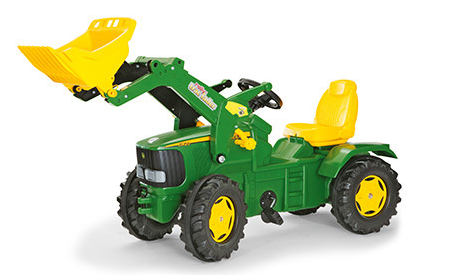 Kids can scoop, drive and dump objects with the toy vehicle. 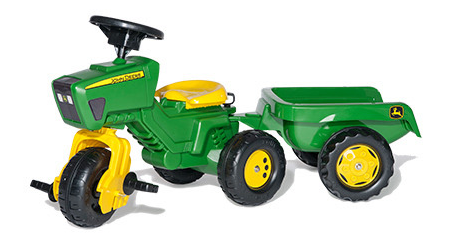 Every John Deere pedal tractor should come with a trailer, and your little one is sure to enjoy this toy. The high impact blow molded resin body is extremely durable and rugged enough for outdoor play. 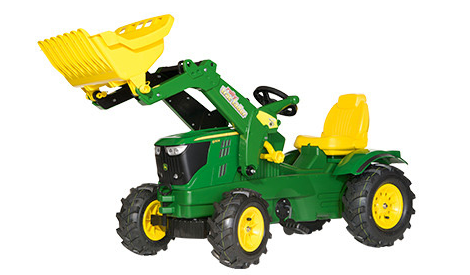 This John Deere pedal tractor comes with oversized air tires for a smooth ride. Its tires also allow for play on virtually any surface. This pedal-powered tractor comes complete with a front loader and a tipping digger bucket for hours of fun. Its tires are also made of a strong resin, meaning they won’t wear down over time. 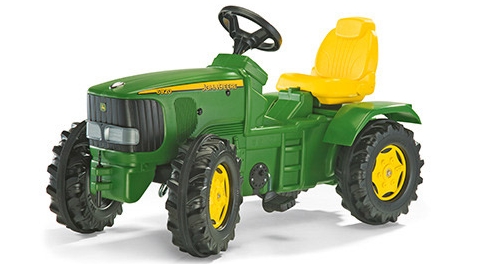 There’s nothing like a classic, and you can give your child his or her own with this John Deere pedal tractor. It comes with a front lifting hood for extra play and a blow molded seat for the utmost comfort. This John Deere 4020 pedal tractor will surely bring back nostalgia with Its engine detail, front frame, grille and exhaust stack. 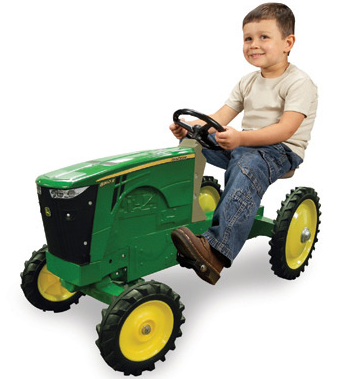 The post 10 John Deere Pedal Tractor Toy Options appeared first on John Deere MachineFinder.